Brent Preston worked as a human rights investigator, aid worker, election observer and journalist on four continents before finding his true calling as a farmer. In 2003 he and his wife, Gillian Flies, abandoned successful careers in Toronto, packed up their two young children, and moved to a run-down farm outside Creemore, Ontario. 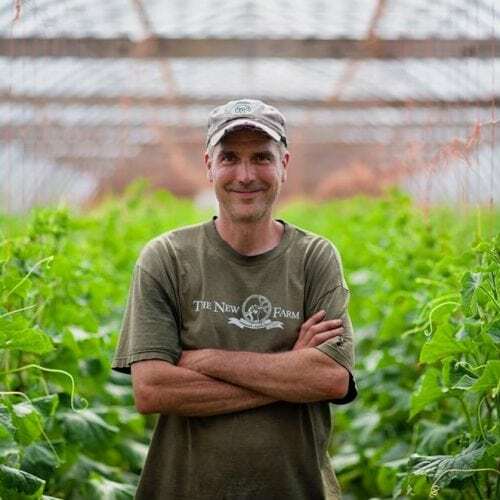 Since then, they have built The New Farm into a thriving business and a leading light in the good food movement, providing vegetables to some of the best restaurants in Canada and raising over half a million dollars to make local, organic food accessible in low income communities. Brent writes for the Huffington Post and the Globe and Mail. His first book, The New Farm: Our Ten Years on the Front Lines of the Good Food Revolution, was published by Random House Canada in May.